I hope you’ve had a great holiday season. Ours was a bit busy but so nice. And now I’m so ready to dive into a new year! I had a great year with the blog and business, but I also feel like things were kind of in a holding pattern. For so long one of my biggest goals was to write a book. After the book came out I sort of settled into just blogging and working – but I didn’t set any new goals. Don’t get me wrong, I adore my little book and I’d love to write another sometime, but I would also like to expand my business in other ways too, specifically in the embroidery and sewing sides of things. And I’ve found that I really need goals – specific things to work towards. Otherwise it’s so easy to just go from project to project and just keep things the same. There’s nothing bad about that, but for me I really need the focus of a big goal to aim for! Does that make sense? Well I think it will help me accomplish some fun things this year! I’ll be sure to share things as they happen too!! But for now, let’s focus on last year’s projects! So here’s the TOP 10 projects from the last year! 10. Wonderland Pillow – this is one of my favorites pillows ever. 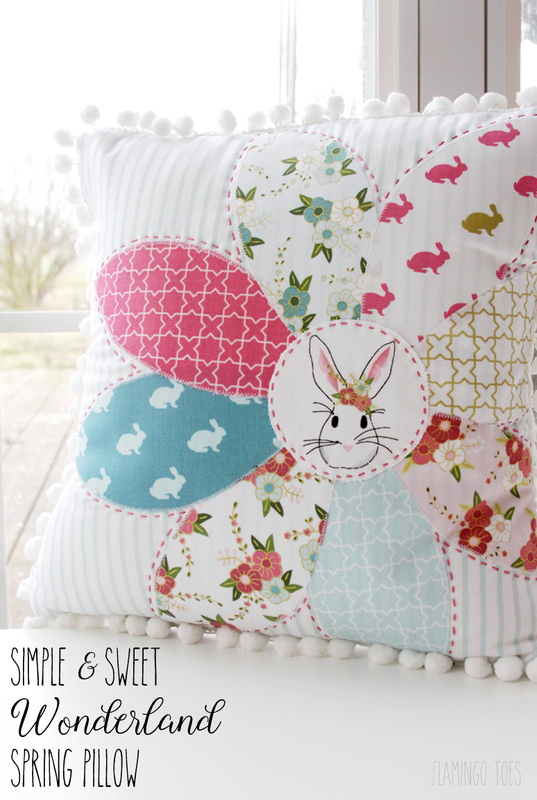 I just adore this line from Melissa at The Polkadot Chair and it worked out so fun in this little bunny pillow! 9. 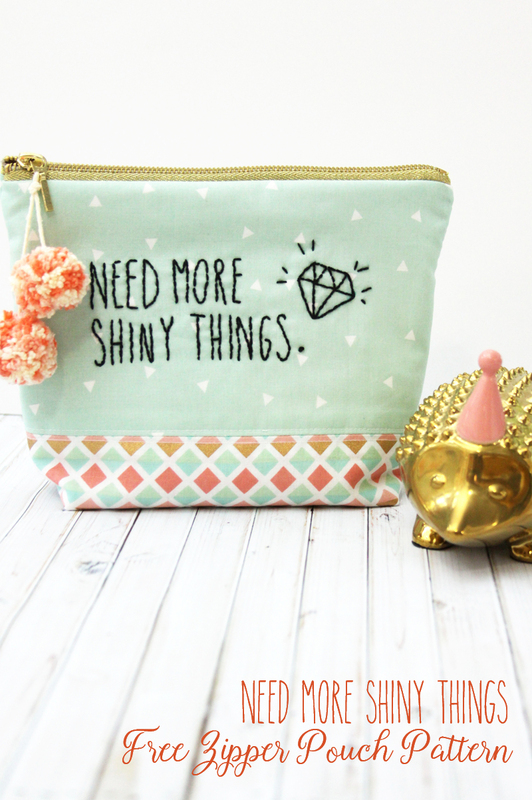 Need More Shiny Things Zipper Bag – I thought it was so fun that this bag made the list. I had a great time stitching this one up! 8. 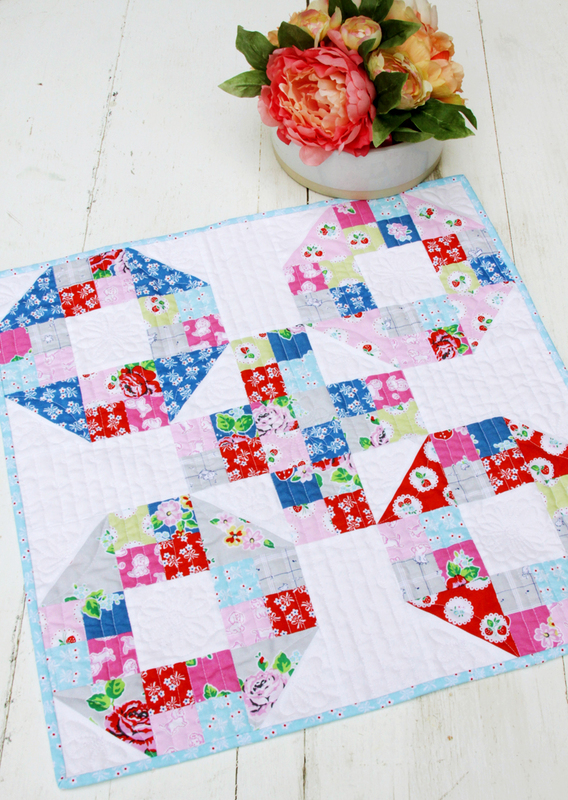 Strawberry Biscuit Mini Quilt – This year I wanted to up my quilting game and I thought joining the Mini Quilt club at Westwood Acres would be a great way to work on my skills! This is my first mini quilt I made with their kits and I love the colors! 7. Floral Embroidered Zipper Pouch – we have two little bags in the countdown this year – it’s fun! 6. 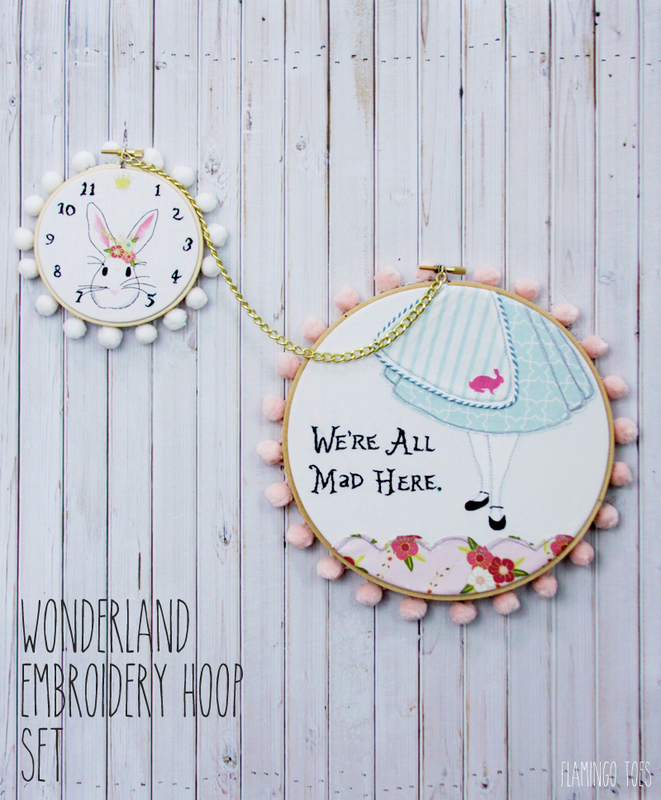 Wonderland Embroidery Hoop Set – One of my favorite hoop sets!! And it’s a return of the Wonderland fabric! 5. 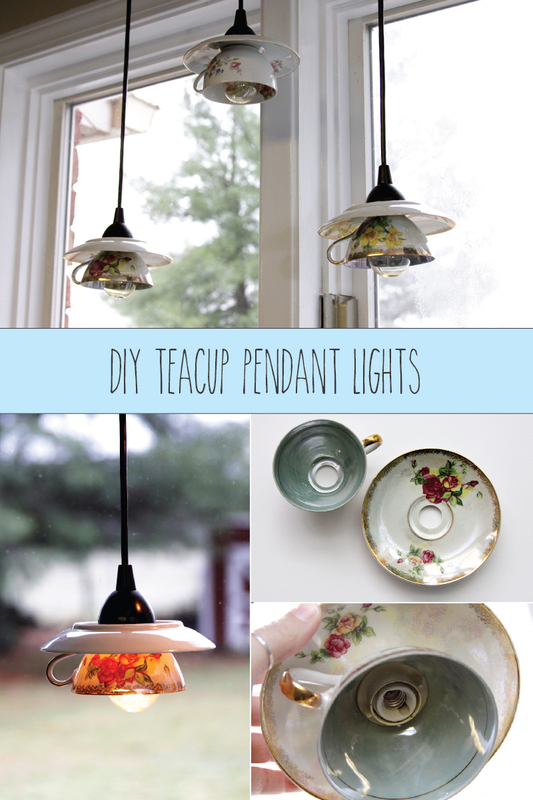 Teacup Pendant Lightshades – I’m super excited that these little shades made the list. They are one of my favorite DIY projects ever! 4. US Map Quilt – So this is number 4 according to visits, but I think it might be my favorite of the year. 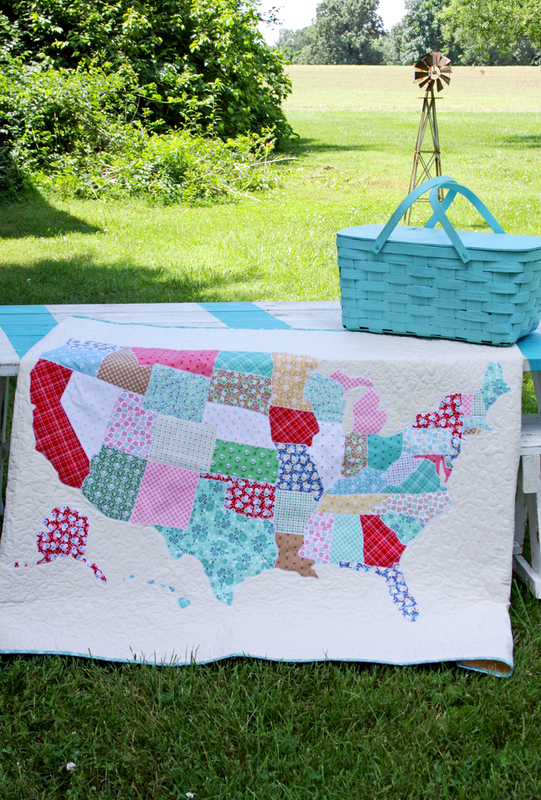 It was so fun to create this US Map quilt and I have loved seeing all the versions that are being made and shared on FB and IG! 3. 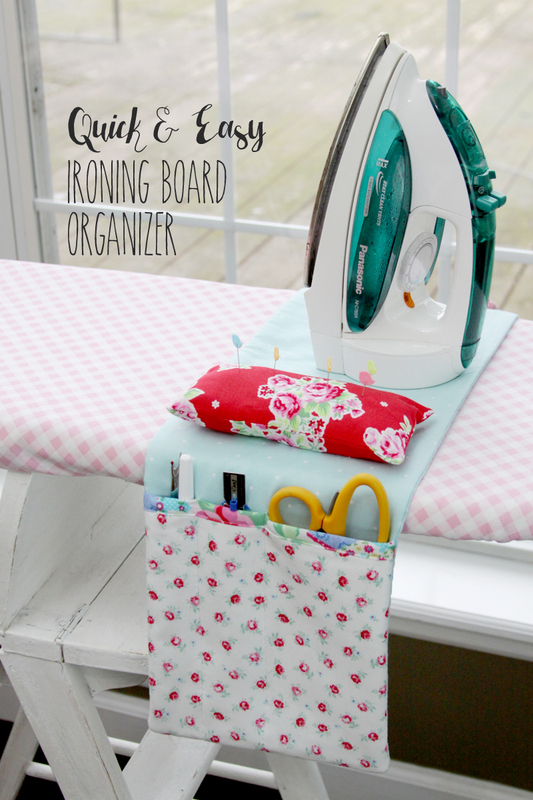 Easy Ironing Board Organizer – this little organizer is one of my most used projects! I love having easy access to my scissors and marking pens, without them cluttering up my board! 2. 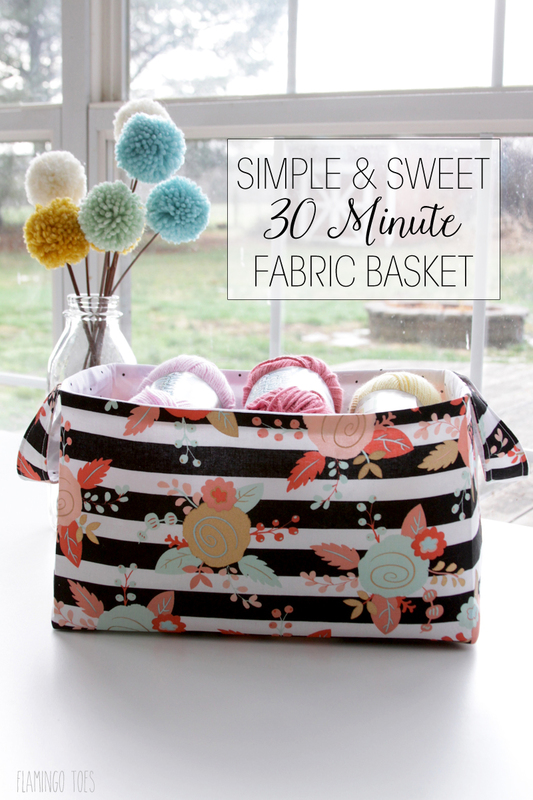 30 Minute Fabric Basket – these little baskets are so quick to sew up and they make a fun gift too! So did your favorite make the list?? I’d love to know! Thanks so much for following along and visiting this year. I’m so excited for another year of fun adventures and projects! Yes!!! My fave is the Wonderland pillow. 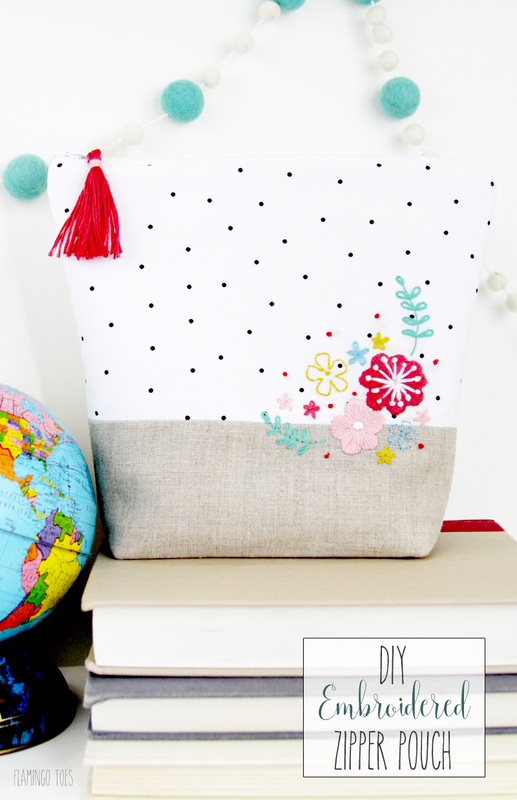 I fell in love with that fabric immediately and love the application of it in the pillow. It is soooooooooooo sweet. Thanks so much for sharing your insight and talents with us. Those teacup lights are the absolute cutest! I also love the United States quilt. 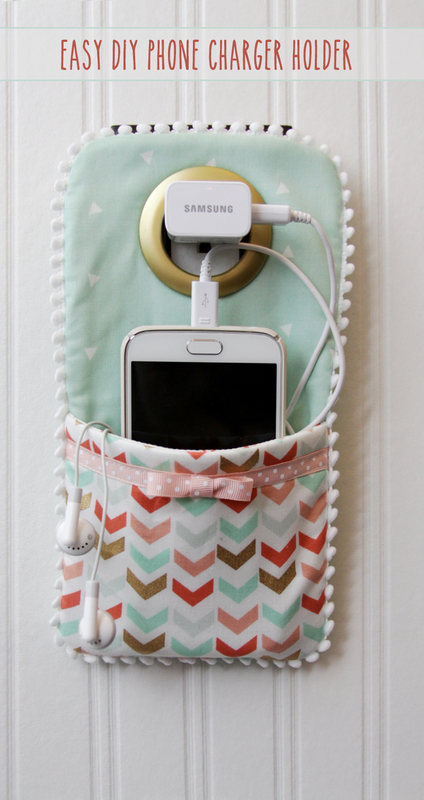 Love them all especially the USAMap Quilt, ironing board organizer, charger holder – whew if I go on – I’ll be up to 10! So happy to have found you! Yes! I love (and immediately made) The US Map Quilt! Thanks for a great year of projects! I simply love your teacup pendant lights! They are so adorable and would be beautiful in a lady’s office, a kitchen nook (or over an island or peninsula!) I love the “mad hatter” embroidery hoops also!!! Your needlework is fantastic! 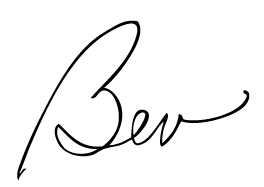 I have just found your site and am so excited! Never have I found so many ideas in one place. Thank you so much!